POTUS Maximus used the phrase “an America built to last” repeatedly reminding us of the post-war economic boom which he recalled to discuss a unified America. It also put me in mind of the U.S. automobile industry which built this country…brilliant. What does the blueprint include? Restoring the American dream for families: work hard, buy a home, send kids to college and put a little away for retirement. Of course, there was a Lincoln reference. What is on the list of accomplishments? Increased VA benefits and spending, assassination of Bin Laden, bringing troops home from Iraq and healthcare reform. My favorite quote? “We need to lower the temperature in Washington.” Americans are sick of the fighting. In closing, another salute to our troops. Thank you for service and let’s follow their lead. So how did POTUS do? This past Sunday, Dr. Martin Luther King, Jr. would have been 83 years old. Around the world, people remembered him and the legacy that seems to still elude us. 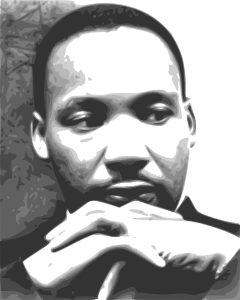 I recently heard a commentary during which the question was asked, “if MLK were alive today, would he have embraced technology?” Would he be on Facebook? Twitter? I say a resounding yes! He himself would not be Tweeting but be certain a staff member or grandchild would on his behalf. Dr. King understood the important role of the everyday person to improve the world and he definitely knew the power that young people possessed. He would have had a social network that could have given pointers to Obama’s first campaign. He would have had a weekly online address that could be accessed via his Facebook page, website or blog. His Tweets would have been untouchable soundbites envied by all that linked to his YouTube channel for full speeches. Blogging? Yeah, I think he would have loved it and posted himself! And rest assured, his Flip camera would be well-used. Dr. King was astute and understood that you have to meet people where they live. I doubt he would have had a smart phone but he would have been sure that he connected with people. Live speeches? Of course! As long as he still had that fire in him, which I think would have been white hot. And it would be standing room only. Although, I would argue that had he lived, this country would be very different…in a great way. It would not be perfect because true change is painfully slow, but we would be much further along. 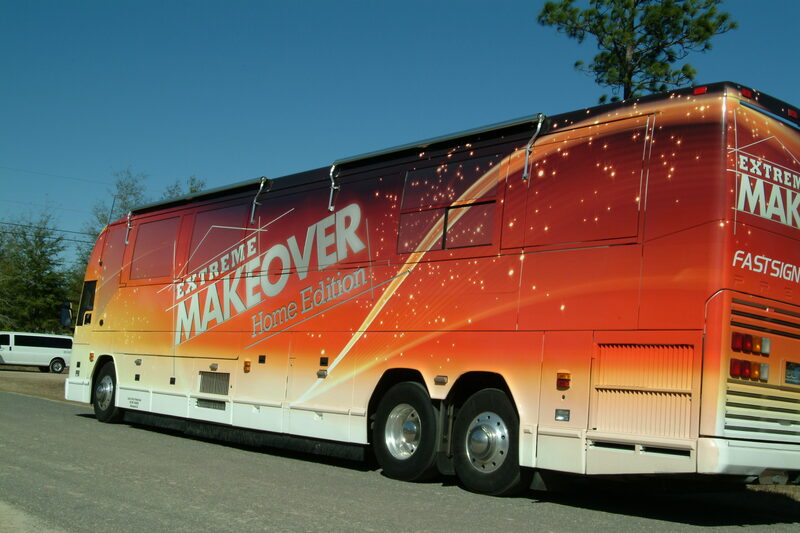 Over the past nine years, Extreme Home Makeover: Home Edition has traveled the country rebuilding homes for families who rebuild their communities. They have found the most deserving people who give back regardless of the hardships that they have experienced or continue to experience in their own lives: veterans, teachers, mentors, fire fighters and counselors. And for these none years, I have eagerly watched the show and been ridiculed. Tonight marks the end of this show’s incredible run. What began as a ritual for my daughter and me, became a weekly reminder that there are good people in the world. I was always moved by the capacity to give that people possess especially when they have lost so much. As I said, I have been derided for being a fan and remember with clarity the faces of co-workers when I explained why I loved this show. Yes, I am warm and fuzzy…I know. So, each year the team came back with houses and extras that were bigger and better. Including tonight, the team totals 207 builds. I was always jealous that they were doing what they loved and the bonus sense of gratification that they must surely feel. I can not imagine that the Makeover team, builders and volunteers have not had their lives changed by this experience. The series finale showcased a huge build in Joplin, Missouri for seven families who lost homes in the tornado that struck the town in May 2011. Two of the families were single mothers who lost children during the disaster. They of course touched me in a way that is indescribeable. And the Nguyen patriarch was too cute! Thank you to ABC for this show. I have shed countless tears watching and my only regret was that I never volunteered on a build. Now I must wonder what will fill the void that this show is sure to leave. Robert Champion died in November as a result of injuries sustained during a hazing incident on a bus following a band performance. Champion was a member of Florida A&M’s (FAMU) renowned marching band, The Marching 100. Many band members have been hazed and have participated in hazing, a practice that is prevelant in fraternities, sororities, teams and clubs across the nation. As a result, the FAMU band director was fired and the university president was asked to step down by the governor. FAMU has proposed a three-part plan to address hazing on its campus. Champion’s family is suing the bus company. This case has produced national outrage, as it very well should. I have taken this long to blog about it because of my sadness and disgust. 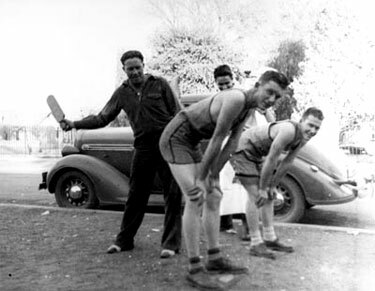 However, hazing is not new. It goes on everyday on campuses around the country. There are no statistics on annual hazing deaths but don’t you think just one is too many? It is time that something substantial be done to protect our young (and dumb!) people. Hon. Frederica Wilson (D-FL) plans to introduce a federal anti-hazing law that would apply to universities with students who receive any level of federal aid. The law would pull financial aid from students who are present and/or involved in a hazing incident. 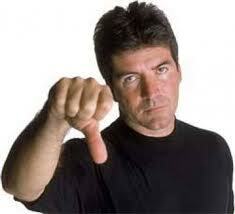 I don’t necessarily agree with a law attaching the punishment to students rather than the institution. I would rather see a law that forces universities to not turn a blind eye and be resposible for the activities on its campus. How about a university losing funding as a result of not producing and implementing an anti-hazing plan. Private schools would pay a significant fine- they would be included because they have students that receive federal aid. If a student is found responsible in an incident, let the police deal with it. Just my take. We have to do something to stop our young people from dying when they go off to college. Through Adversity to the Stars…WE FIGHT, WE FIGHT, WE FIGHT! My ardent support for soldiers aside, I have strong feelings about the military. Especially when the country for which you are fighting to protect, does not have your best interest in mind or have it even as a blip on the screen. Enter the Red Tails. 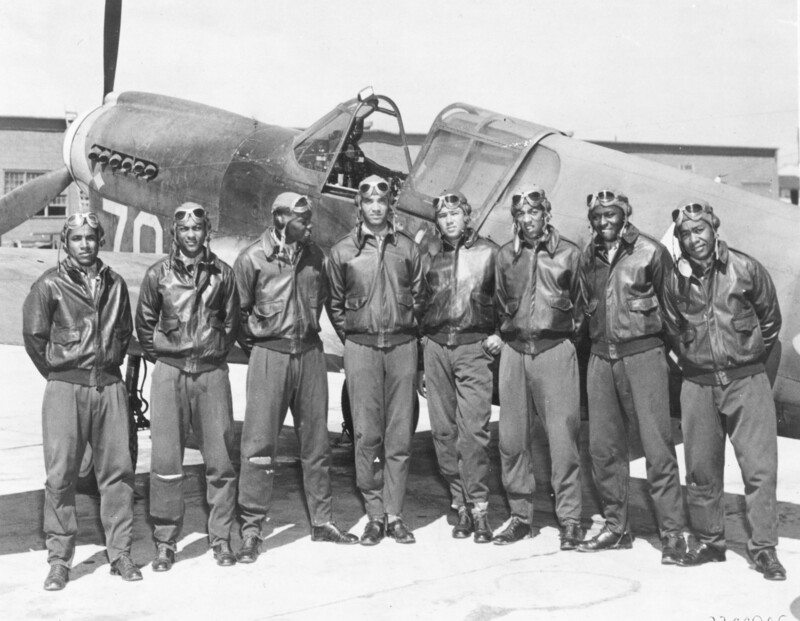 This elite group of fighter pilots trained at Tuskeegee Institute changed the course of history with their talent and desire to serve their country. I am always awestruck and humbled by those who persevere and transcend in the face of adversity. The Tuskeegee Airmen have always fascinated me. I grew up knowing their story but know that many still do not. The Tuskeegee Airmen’s fighter planes had disctintive red tails, hence the movie’s title. Think of the courage to take the air knowing your mission could likely kill you- that is mind blowing to me. Add a thick layer of nobody wanting you to get involved and you have a great story. I’ve said before that nonfiction makes the best films. 10. Went into business for ME. 9. Spent more time with the kids. 6. Wrote for me (just not enough). 5. Gained a phenomenal client. 2. Assisted a few people with their new business ventures. 1. Regained the perspective that my happiness is not optional. Just my hit list and reasons to look forward to a New Year. Everyone hated on POTUS Maximus. I didn’t promote my biz like I should’ve…and I know better! My client base isn’t what it should be. My son was three ALL year. My teenaged daughter chose a boyfriend. I didn’t achieve all the goals on my list I wrote at the close of 2010. I didn’t take a “me” trip. I didn’t blog enough for Mule of the World. The economy is still oppressing the 99%!! !